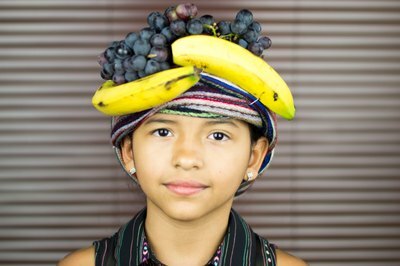 Carmen Miranda was a hat maker in Brazil, where her father was in the produce business. 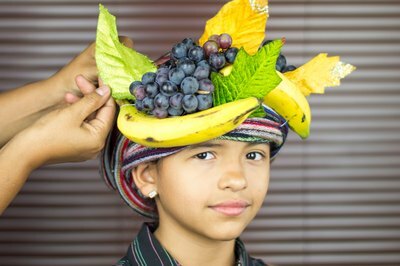 She made her signature fruit hat based on the traditional hats worn by women fruit sellers. The "Brazilian Bombshell" later became a nightclub and radio singer in Brazil. She moved to New York in 1939, appeared in Broadway musicals, and went on to star in Hollywood movies. Her singing and acting were enjoyed on television in the mid-50's, where her signature hats and talents captured the hearts of viewers. 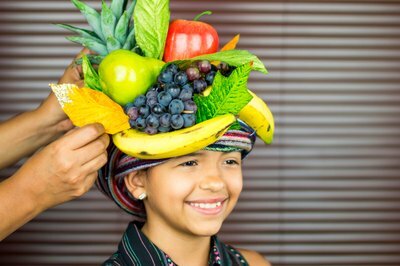 Make your own Carmen Miranda hat for Halloween or a costume party and get ready to sing. Select a snug hat that fits your head well and has little or no brim. 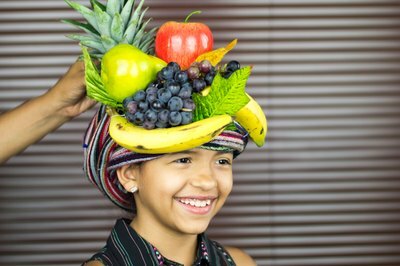 Choose a hat that will sit on your head, like a sailor's hat, for the best representation of Carmen Miranda's style. Place the hat on your head and center a long, colorful scarf at the bottom, back edge of the hat. Bring it around to the front, completely covering the bottom edge of the hat. Continue wrapping the scarf around to the back and back to the front again until the hat is completely covered. No part of the hat should be visible. Remove the hat from your head carefully, to avoid disturbing the hat. 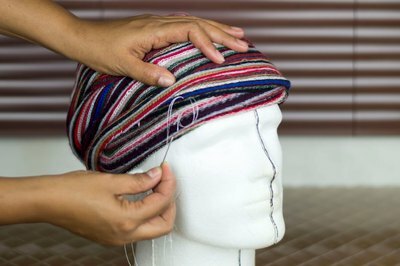 Alternatively, place the hat on a stand to wrap and stitch. Thread a sewing needle with fishing line, knot the end and stitch the scarf in place securely. Stitch at various areas of the scarf. The stitches will be covered by the fruit. Position a few bananas so they blend into the natural curve of the hat. Stitch between the bunch or arrange individual bananas into a bunch and stitch each individual banana stem onto the hat. 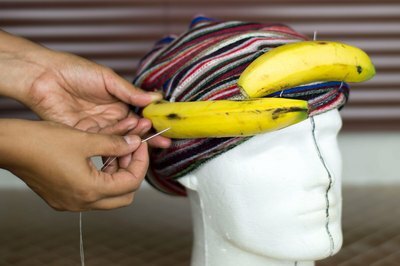 Use a hot glue gun to secure the bananas to the hat, if desired. 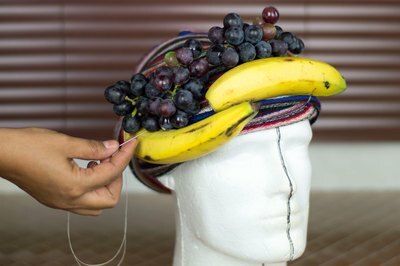 Attach a bunch of grapes with the needle and thread, looping the needles through the grapes at various points and stitching to the hat. Use hot glue to secure, if needed. 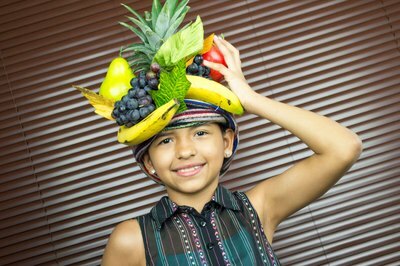 Try the hat on to test that the largest fruits are secure and steady before adding other items. Stitch or glue on silk grapevines. Position some vines along the edge of the hat and wrap around and between the bananas and grapes. Place single pieces of other fruits, such as apples, pears and peaches, in bare spots around the hat. Stitch or glue in place to secure. Tuck individual silk leaves between fruits to fill in any areas that need greenery or filler.